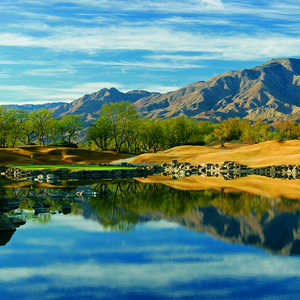 The Golden Bear tests you with tabletop fairways at PGA West - Jack Nicklaus Tournament Course in La Quinta. If your shot's too wild, it's rolling up, often down into the desert. That's just one bit of the showmanship at the Jack Nicklaus Tournament course. This was designed to hold a PGA event, but it's spent its days delivering damage and fun to regular hackers. Nicklaus particularly tests your short game with his bunkering around the greens. Confidence in your wedge shots is crucial here. Still, it's not as tough and unforgiving as Pete Dye's Stadium Course or even Greg Norman's course. 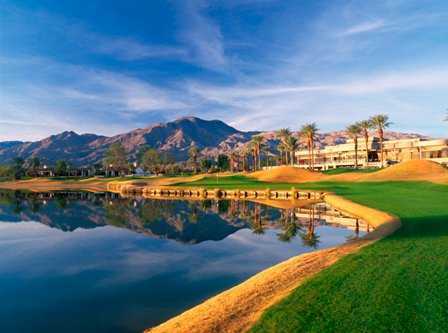 It's possible to get lost in the scenery at the Jack Nicklaus Tournament Course and there's plenty of scenery to go around with the desert brush and the mountains looming in the distance. No. 15 is probably the most well known - and notorious - hole. Nicknamed "Long Island," it's pretty much that: a daunting 572 yard par five with an island green. The fairway's split, giving you a chance to pick your path. Either way you go, getting onto the green in two is oh but a dream. 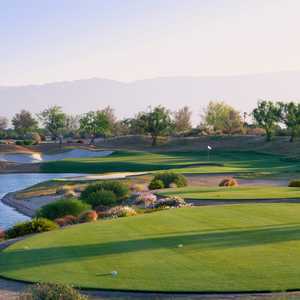 "Nicklaus also abundantly uses non-traditional design features throughout the course to give the track its own unique flavor," TravelGolf.com's Jeffrey Rendall said. "In many ways, I don't think I've seen another course quite like it." Dress code: No denim, collared shirt and bermuda shorts required. 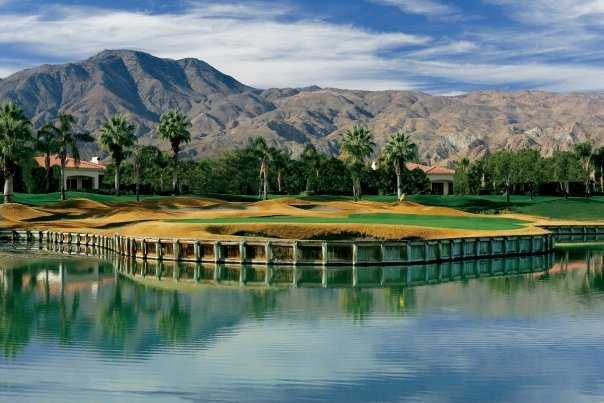 My wife and I have had the opportunity to stay in PGA West and play this challenging course twice in March of 09, and we loved every minute. The entire course was in top shape. The staff and services were excellent. The newly remodeled club house is a beauty, the food & drinks were great. We enjoyed our stay so much we have booked another trip for May of 09. We love the course and all that surrounds it.